Welcome to the worlds greatest guide to Women's Henley T-shirts. 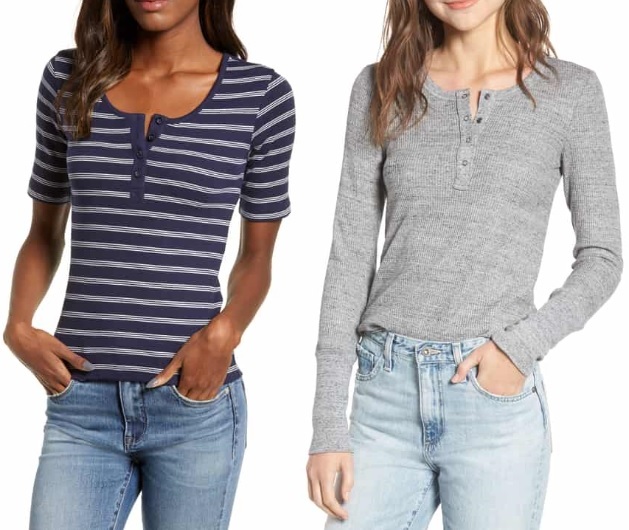 Are you actually looking for Women's Henley T-shirts? Well, we hope you are because the reality is that you have found our Women's Henley T-shirts page. Apparel Search is a leading guide to fashion, style, clothing, glam and all things relevant to apparel. We hope that you find this Women's Henley T-shirts page to be helpful. 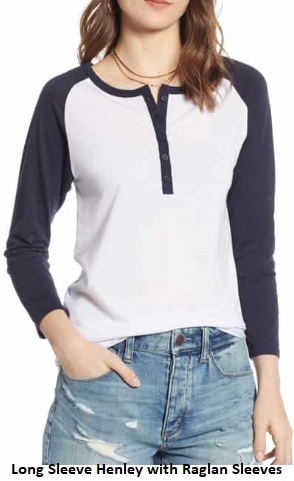 A women's Henley t-shirt is a style of collarless casual pullover shirt. They are characterized by an approximate 4-6 inch long set of buttons underneath the neckline. It is not an exact science, but they usually have 2 to 5 buttons. The buttons are on a placket below the neckline of the tee. Modern plackets often contain fabric facings or attached bands to surround and reinforce fasteners such as buttons, snaps, or zippers. 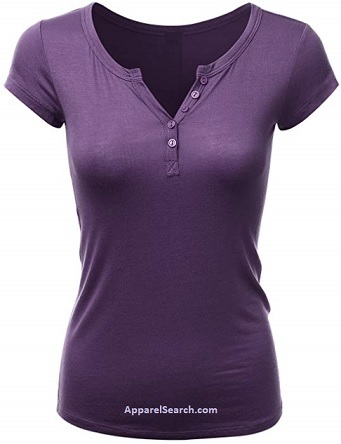 A ladies Henley t-shirt resembles a collarless polo shirt. The sleeves on this type of top can be either short or long. Do you want to learn a little history? OK, how did Henley shirts get their name? Henley shirts were named because they were the traditional uniform of rowers in the English town of Henley-on-Thames. What ever type of t-shirt you are wearing, is in fashion. If you want to be even more stylish, you should wear your favorite Women's Henley T-shirt. Learn about additional types of t-shirt styles.